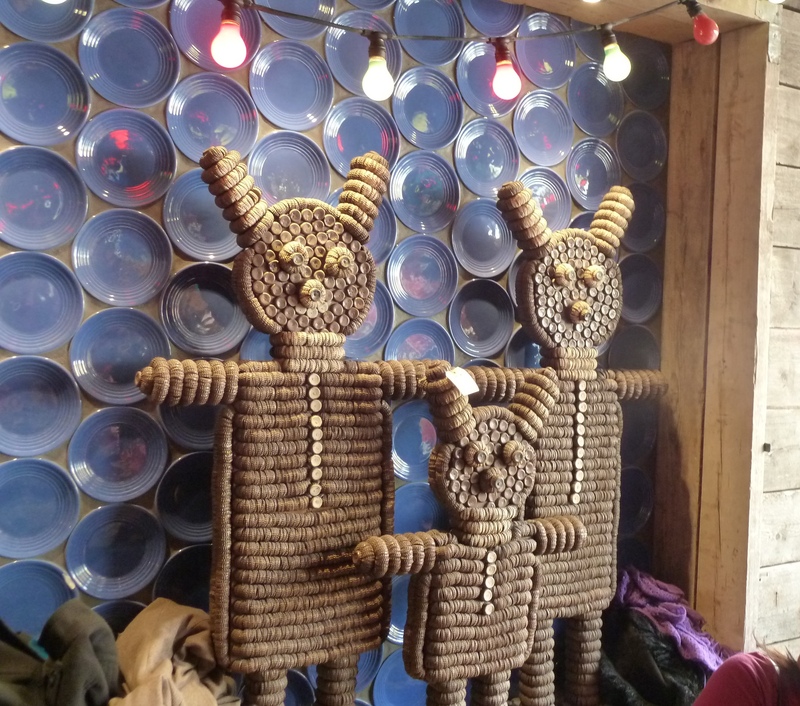 A couple of weeks back, the friendly chocolate meet-up group, Chocolate Walks, ventured across London to Chiswick. 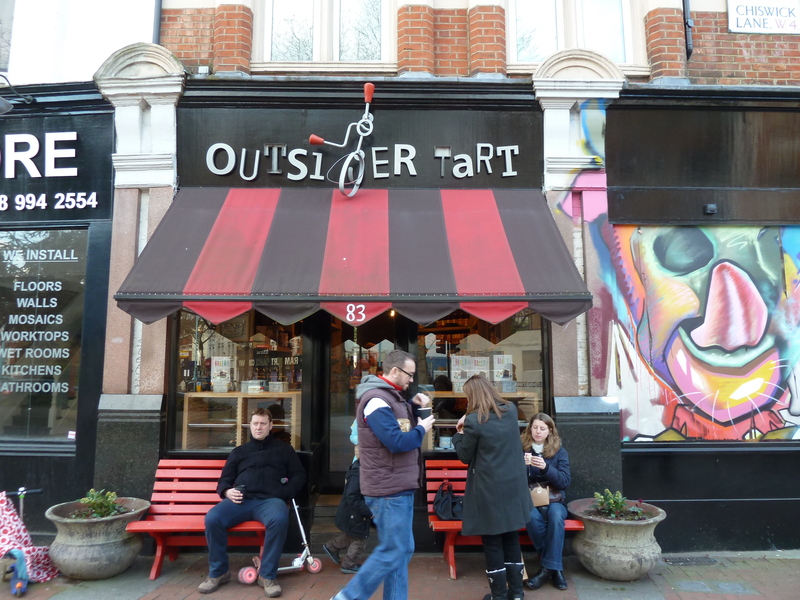 The object of our quest: Outsider Tart, self-described as "an authentic American bake shop and cafe which is devoted to all things sweet and yummy." Well, that definitely seems worth a visit, right? 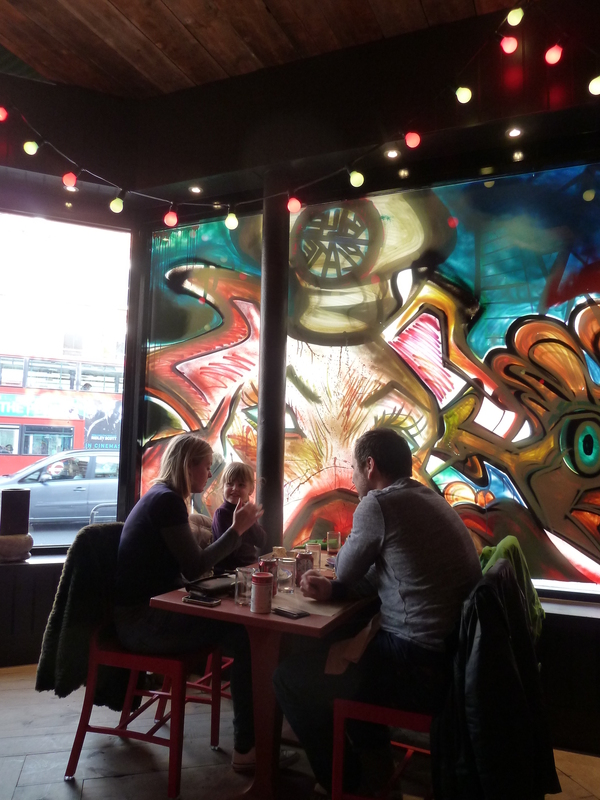 Outsider Tart have done wonders with the outside of their café - a red and black striped canopy conjures nostalgic memories of sweet shops and a funky script gleefully spells out its name. The whole shop front screams, "Hello! Inside you'll have lots of fun! Lots of yummy, scrummy things await you!" We settled around a long wooden table with thick wooden benches and divided up some brownies of all kinds of flavours imaginable. 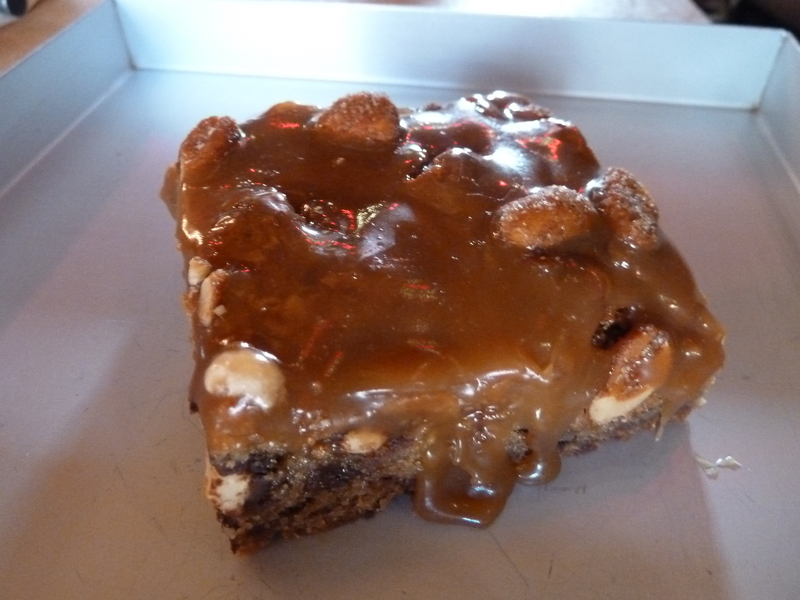 A favourite was this delightfully gooey Snickers Brownie that balanced the caramel sweetness with a healthy spattering of nuts. 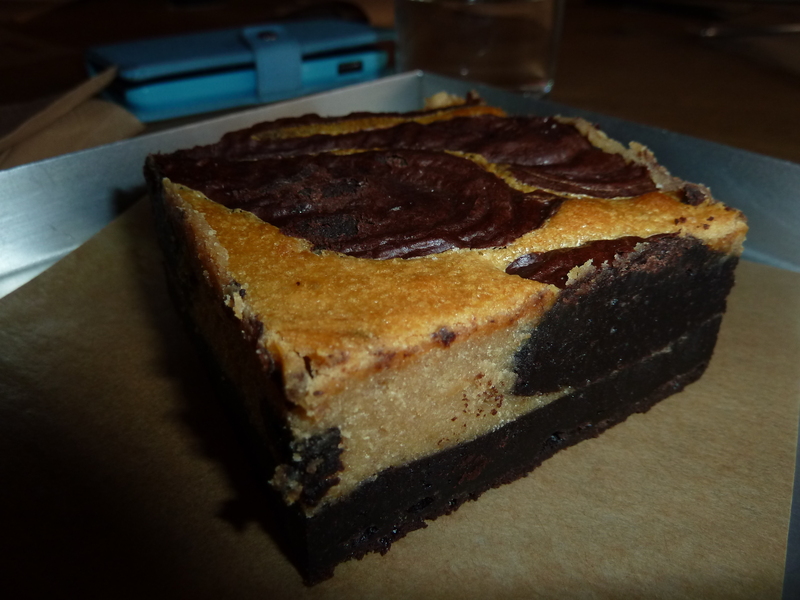 I tucked into a Peanut Butter Cheesecake Brownie, which is quite possibly as lethal as it sounds but oh-so-deliciously good. All the brownies are incredibly dense and rich so sharing is strongly advised. It also means you get to sample more flavours. Win-win.